Apophyllite is calming and tranquil, and encourages honesty and honest self-reflection. It can relieve stress, and is helpful for clearing negative thought patterns. 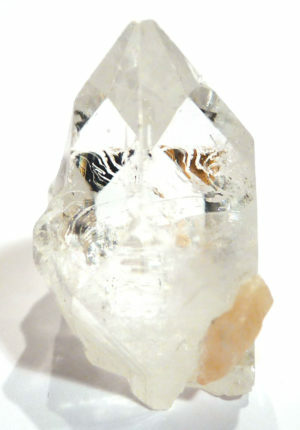 In its clear version it reflects out a great deal of light, and aligns strongly with the Upper Crown, rather than the Crown Chakra, creating a conscious connection between the physical and the spiritual, and aiding connection and communication with the highest of energies and with the Angelic realm. It acts as an excellent energy transmitter, and so enhances healing work. When placed in a room, an apophyllite cluster makes a wonderful space clearer, although some may find the energy too powerful. It is most often associated with the Crown and Upper Crown Chakras, but also has a strong heart connection. According to Melody, apophyllite essence brings light and love back into the heart, so lightens the load, reminds us of happiness and compassion, and makes it easier to carry on with our life purpose. 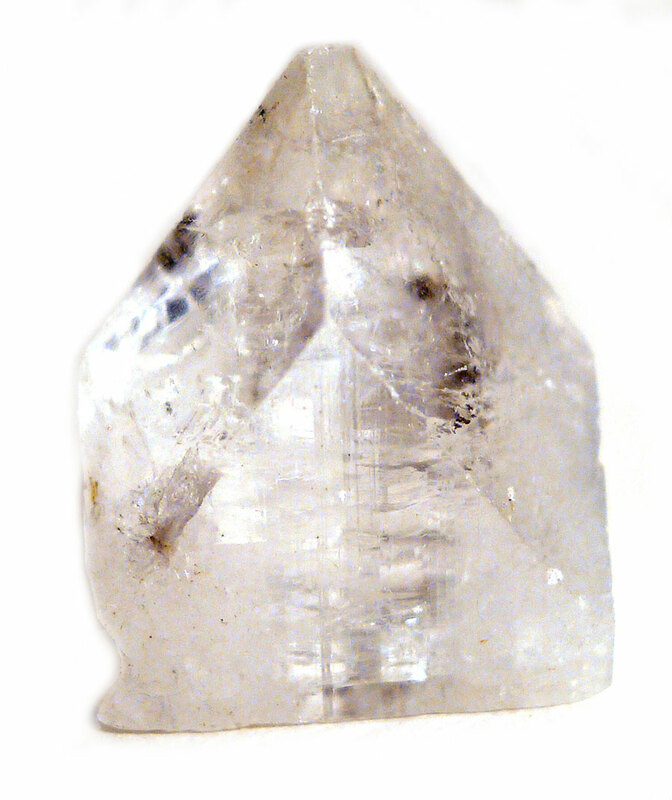 A single natural pyramid of apophyllite can energetically cleanse and clear a room. It is an exceptional transmitter of energy, and enhances vision and healing work – so much so that many Reiki practitioners refer to it as the “Reiki Stone”. I seldom use it directly on clients. However, very occasionally will use one point-downwards at the Crown Chakra to help clear the chakra if there is a major blockage, and to allow spiritual energy to flow through the rest of the body. I always keep one on the altar in my treatment room. Apatite is a general name for a number of related phosphate minerals, all of which are structurally identical calcium Apophyllite most frequently occurs with zeolite minerals in basalt (and is mistakenly called a zeolite in some books). It is found less often in cavities in granites, as well as in metamorphic rocks and hydrothermal deposits. It was once considered to be a single mineral, but is now divided into two species: fluorapophyllite, and hydroxylapophyllite. Together these form a solid solution series, where at one end fluorine predominates over oxygen and hydrogen, and the reverse occurs at the other end. Apophyllite is widespread, and usually occurs in blocky prismatic crystals that are white to greyish. The best material comes from India, where colourless and green crystals are so gemmy they are sometimes faceted for collectors. From the Greek for “away from” (ἀπό, apo) and “leaf” (φύλλον, phyllos), in allusion to the way it exfoliates upon heating. There are no traditions associated with this mineral.